Hi Frugal Life Readers! We are Lily and Ellie, authors of the Duggar Family Blog. The purpose of our blog is to provide factual, encouraging information about Jim Bob and Michelle and their nineteen children. 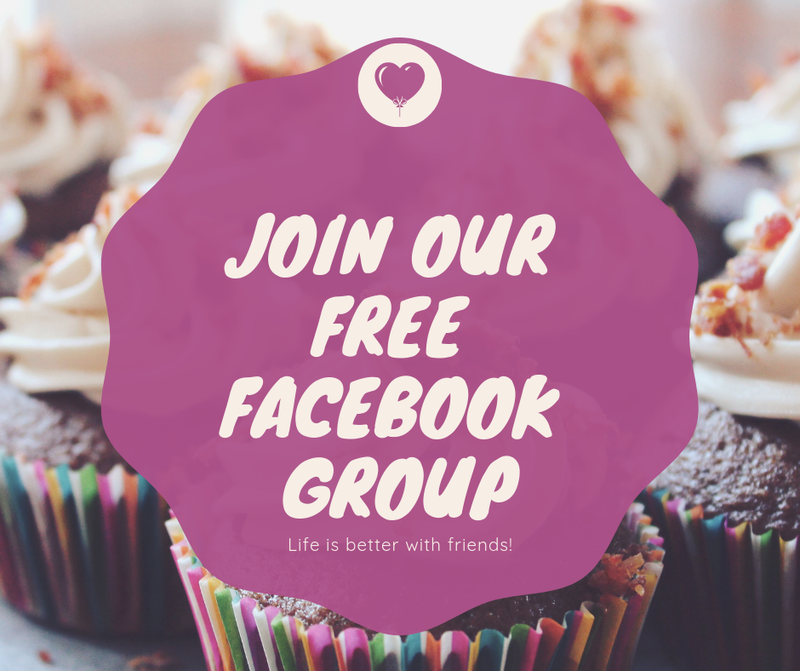 We are delighted to share a post with you. Early on in their marriage, Jim Bob and Michelle went through Jim Sammons’ Financial Freedom Seminar and purposed to get out of debt. They sold their home and rented for several years, eventually saving up enough cash to purchase a fixer-upper. “It was such freedom getting completely out of debt,” Jim Bob explained during our February interview. If they do not have the cash to pay for something, they do not buy it. 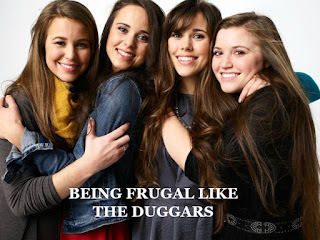 To stay within their budget, the Duggars shop secondhand whenever possible. Ever since they were “1 and Counting,” Jim Bob and Michelle have stayed true to their motto: "Buy Used and Save the Difference.” They are frequent thrift-store shoppers and are always on the lookout for garage sales, auctions, and clearance items. With the advent of the Internet, the Duggars began purchasing secondhand goods on websites like eBay and government sales. Whether they are searching for an oven, an SUV, or a pair of jeans, the Duggars always look to buy used and save the difference. While building their house, the Duggars paid for the supplies as they went along and carefully considered each step with a frugal mindset. They saved money by purchasing a Kodiak Steel Home Kit and by heating their home with a wood-burning stove, powered by tree branches from their property. The entire family worked together for nearly four years to construct their dream house. The Duggars also look for ways to save on everyday items. Michelle and the girls make homemade laundry soap, which is $60 cheaper than buying a month’s supply of conventional detergent. The older girls have learned how to give each other perms, saving salon fees of over $100. The Duggars also use homemade baby wipes, a recipe passed on by fellow parents of “19 kids and counting,” Gil and Kelly Bates. How does one stay debt-free while putting kids through college? Several of the older Duggars have graduated high school and signed on with CollegePlus!, an organization that guides students through the process of earning their accredited bachelor’s degree at a fraction of the cost of traditional university. Twenty-year-old Jill Duggar is well on her way to becoming a registered nurse and is expected to save about $20,000 in tuition. The flexibility of CollegePlus! allows the Duggars to provide their children with an economical, quality education while maintaining a close family relationship. The Duggars believe that becoming debt-free was critical to preparing for a large family, but they also understand the importance of continuing to live frugally. To stay in the black, they look for ways to cut costs, even when purchasing small items. While modern society cringes at the cost of raising more than a few children, Jim Bob and Michelle Duggar and their nineteen kids are surviving and even thriving. Love it! These are great tips from the Duggar family! We are continually amazed at this family's wisdom. I make the laundry liquid too with a slight receipe variation. It saves so much money and you dont run out as fast. It costs me $2-$2.50 for 15 litres and lasts about 55 washes! 1. They often utilize a barter system with friends and family (service for tutoring, etc.). 2. They focus on real need vs. perceived need for their purchases. 3. They refuse to pay homage to the "system" of tradition which pushes people to pay for things or do things simply because that is the "next thing" to do or the traditional or popular thing to do. Examples are: homeschooling using a curriculum that fits THEIR family -- and not someone else's, or individually assessing each child's life goals before investing in college or business venture as the "next step after high school". Individual, realistic assessment. 4. They scale down (i.e., gift-giving by drawing numbers) to realistic proportions of life. 5. They network with other frugal families. This provides a knowledge base as well as that barter base of sharing spoken of earlier. 6. They are part of a community of "givers" who are taught to give as a way of life. This supports their own family's way of life and they also can also put them on the receiving end of "freebies". This is not a negative thing. It is what "community" is built upon. 7. They are each taught to work at a young age. This, I think, is a very crucial component. Each child understands early that cultivating a skill-building mindset will build them to where they need to be financially as early as the motivation kicks into gear; and that can happen at different ages for different personalities. "Work hard early, share the benefits" may be as good a motto as "buy used and save the difference". 10. Frugality doesn't mean cheap quality. They are willing to buy used, but they also know when it is wisest to buy new and/or to buy high quality (i.e., those wonderful cameras). Frugality simply sees the need and buys the best deal according to the wisdom of the need, not the want. I am sure that the Duggars, though good examples of thrift and economy, are human and surely make financial missteps or wish they hadn't spent so much on something or wish they HAD spent more on something else. But generally, they are a welcome and refreshing change from the "other" pictures we have thrust upon society. Their example shows us that, along with millions of other very thrifty people who remain anonymous, thrift and generosity is indeed possible in the same breath. Even today. Even with extra-large families, God bless them! I personally think some things were skipped here. The current home was largely donations, and one of the vans as well. I do not have any ill feelings towards them over the donations. Just simply stating that these large donations have zero to do with being frugal and more to do with being kind people. This is the first I've heard about the home being with 'donations'. Other interviews, the TV show and books stated, quite plainly, the Duggars paid for and built their home themselves. TLC kicked in some furniture and decorations but the Duggars did without a lot of things after first moving in until they could pay for it. It was televised as they were building it. It is mentioned SEVERAL times the materials and labor was DONATED. I also wonder how, now that they have this t.v. show and are apparently being compensated monetarily for it, they are handling the income they receive. Some think they're making as much as $25k-$40k per episode. Michelle would not even buy an item one of the older girls wanted when she was younger but it showed up providentially. Michelle is strong minded, strong willed and determined. These qualities help too. Hi I understand the whys budgets and such. I have a question with buy used and save the difference. Say a new washer costs 300 dollars and you get a used one for 100 dollars. Are you actually putting that 200 dollars in an account? Not if you don't have the $200 you won't. That is the idea (I would think) If you didn't have the $300 to spend, which is why you found one for $100. How are you "saving" the other $200. That money; since it wasn't spent on the washer; was soent on something else.